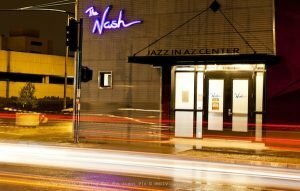 (Phoenix, Ariz) The Jazz Forward Coalition has named The Nash, the popular jazz venue in downtown Phoenix as one of 4 partners in its national “jazz hubs” initiative. The Nash, along with major jazz venues in Pittsburgh (MCG Jazz), Washington D.C. (Smithsonian Jazz) and Portland (PDX Jazz) will lead the Jazz Forward Coalition, funded by the Doris Duke Foundation, to pilot a “jazz network” to strengthen jazz’s cultural presence in the United States. In this leadership capacity, The Nash will share and help create “best practices” for audience development, community engagement and programming for jazz venues across the nation. The four hubs will participate in an 18-month pilot program focused on resource and capacity building through national and local summits. The Nash was profiled by Kenneth LaFave for the April, 2016 issue of Entertainer magazine. New Diamondbacks ace Zack Greinke is featured on the cover, but we’re pretty sure most people will be interested in the extensive coverage that jazz music received. 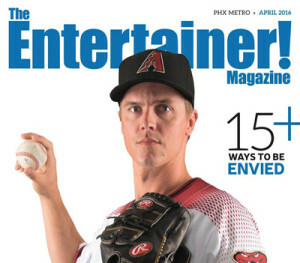 Flip to page 43, or just CLICK HERE to read the article, and thanks Entertainer! BIG NEWS! Beginning Dec 10 The Nash will be offering wine and beer service at all shows! We will be featuring a wonderful selection of full and half bottles of wine as well as an assortment of craft beers for your enjoyment. By law, BYOB will no longer be allowed at The Nash and will be discontinued as of Dec 10. We look forward to bringing this new service for your convenience! Local newspapers help to celebrate Jazz with The Nash! By John Willis	| April 9, 2015	| Comments Off on Local newspapers help to celebrate Jazz with The Nash! PCM & The Nash partner for student jazz ensemble! By John Willis	| April 8, 2015	| Comments Off on PCM & The Nash partner for student jazz ensemble!